What Submittable Triggers and Actions are Supported? Submission Declined - Triggers when a submission is declined. Submission Accepted - Triggers when a submission is accepted. Submission Withdrawn - Triggers when a submission is declined. New Submission - Triggers when new submissions arrive in your Submittable Account. Submission Status Changed - Triggers when a submission's status changes. New Note - Triggers when a note is added to any submission in your account. 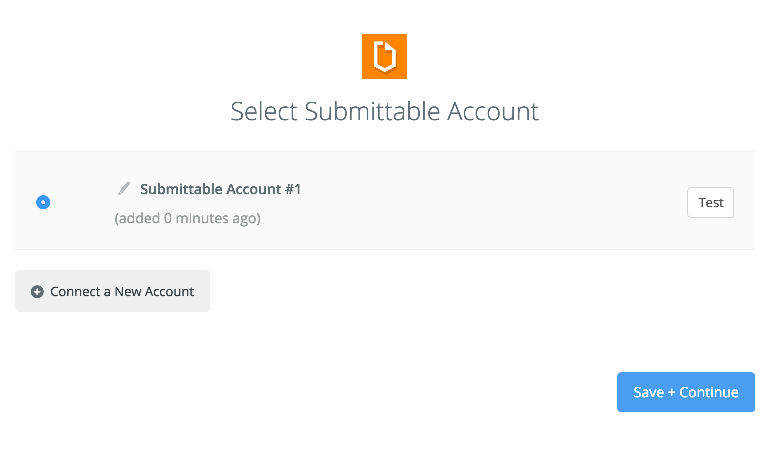 New Staff Member - Triggers when a new staff member is added to your Submittable organization. If the new staff member does not already have an account, this event triggers when the invitation is accepted. 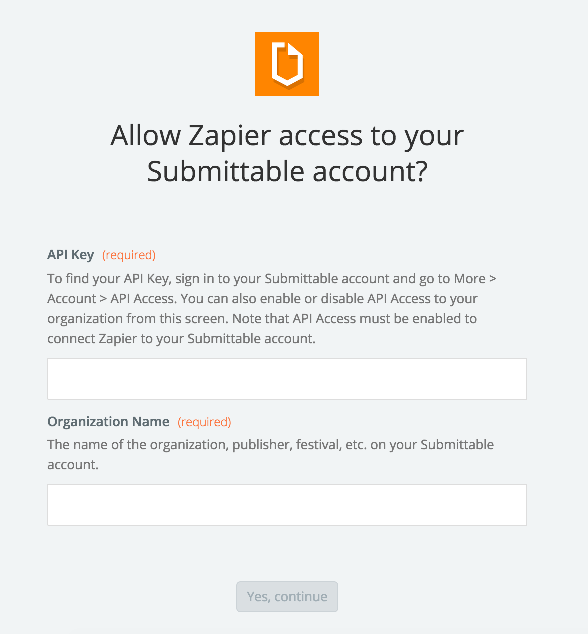 Once you've entered those details, the pop-up would disappear and you will see the Submittable account added to your Zapier account and is ready for selection.